Peter Carroll joins me to talk about his recent article in Speed Secrets Weekly, “14 Ways to Improve Your Driving.” Specifically, we talk about braking too hard, not enough trail braking, getting on the throttle too early, coasting, not using all the track, downshifting too much, shortening the distance by altering your line, and how to experiment with new driving techniques. Peter Carroll is a BMW and Porsche club racer, track day driver, and HPDE instructor. 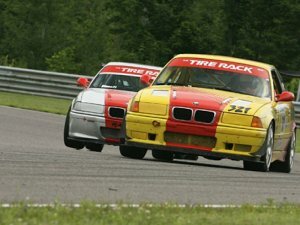 Living in the Toronto area, his home track is Canadian Tire Motorsport Park at Mosport, but he’s driven and instructed at tracks all over North America. He gets a thrill out of helping other drivers learn and improve.